Reflections from Niagara Shebang artist Aaron Berger – singer, songwriter, motivational speaker. Speaking with Niagara Community Translator Vickie Fagan. You’ve been part of this from the beginning. How has this process evolved for you? The shared work and relationships that I have developed over the time. I didn’t know most of these artists before. The deepening of the bonds we have shared has helped to infuse the work with more heart. Over the course of our time together, there is more trust, people are less apprehensive to share ideas, compared to when we started, for fear of judgment in the group. Our group mind has become stronger and we have been able to work together, better, all of the time. Our ability to communicate and express ourselves (has evolved). How does the ripple effect of this work affect you? Valuing making art. It’s so easy to become discouraged about making art, for lack of value or feeling supported in your art making. This process has really helped to support art making, we have been paid and we have had time for group process. This has shown me the importance of taking time for a group process, taking time to create space and trust within a group. Also, I can continue to sustain my work in the arts. I can see myself now collaborating with several of the artists that are part this process that I wouldn’t have necessarily been able meet them or to share work with them or to collaborate with them, now and in the future, if if wasn’t for this process. Has it changed the way you make work? The act of creation is mysterious, the more you try to speak about it or pin it down the more elusive it becomes. This process allows for a lot of curiosity and wonder in the approach of art making. This work affected the way I create through looking inward and looking to the body. The body as instrument and communication…this work has helped me to deepen a sense of what i am experiencing and feeling in my body. The quality of presence and how that is going to translate into the art that you make and how you are being received by other people. One thing i’d like to say is that it’s a huge honour to be chosen to participate in the Niagara shebang, there are so many talented artists in the area. so to be able to be one of a small group of people who were supported in art making and able to create work together for the past few years has been amazing and i feel very blessed to have been able to work with this group and to be funded to be able to do that. Also, as a songwriter you can imagine how your song could be brought to life when you are creating it. 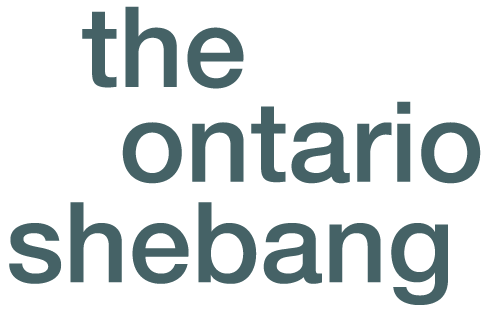 and seeing the way my song I am Everything, was brought to life (by the shebang artists) when it performed it at the Courthouse (serving as a thematic ‘frame’ for In Between Stories – Niagara Shebang Year Two). it was incredible to hear other people singing it and to have to the audience brought in. Having something that you are a part of birthing, creating and having other people help you bring it to life is an amazing thing.